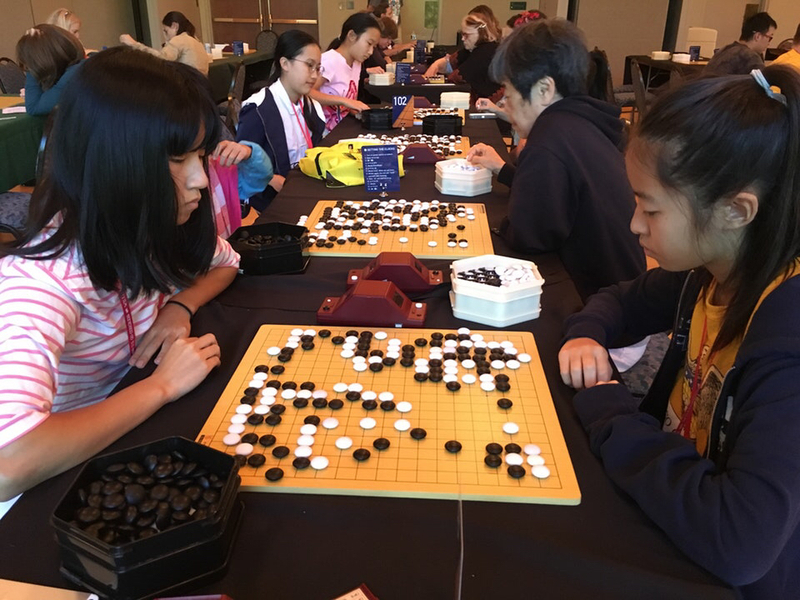 The AGA Girls Cup and Women’s Tournament provide space at the annual US Go Congress for female go players to meet one another and to further develop and maintain a larger community of go players. In a historically male-majority event, it is motivating to see how women can inspire other women to attend the Go Congress and Congress events through friendly competition. 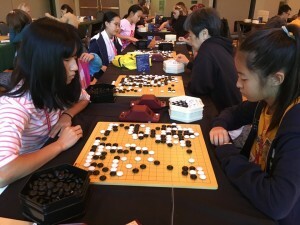 By promoting the U.S. Go Congress as a place for women to study go and compete, the hope is that there will continue to be an increase in the number of women attendees and strong female competitors. There was an interesting start to the tie-break game between Melissa Cao and Tina Li in the Girls Cup (left). Knowing that a perilous game was in the offing, both players were reluctant to hit the clock and begin the festivities. So Justin Teng did it for them, and they were off on the game that would determine the Girls Cup Champion. After black (Melissa) settled a group in white’s developing moyo, it looked to be a tough game for Tina. 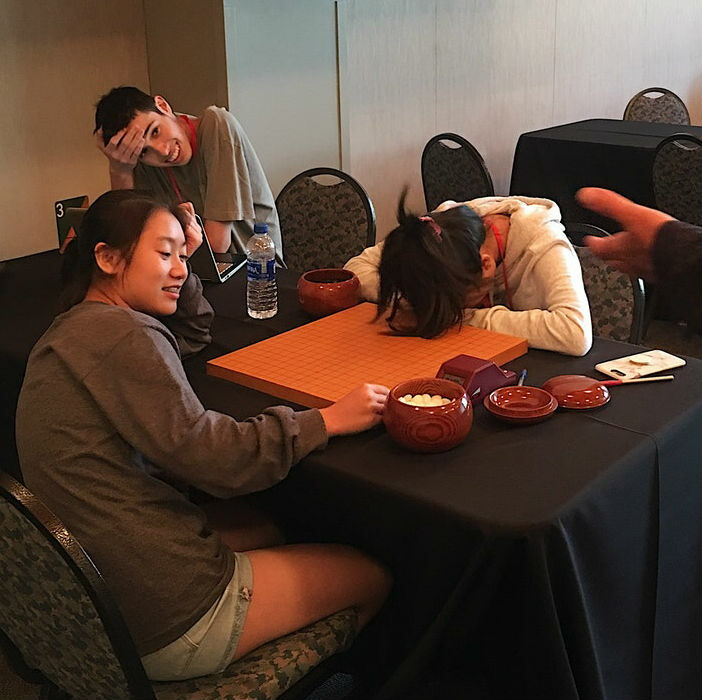 Both players had dangerously weak groups at different points in the game, but they all lived and at the end, Tina Li edged out a victory to claim the 2018 AGA Girls Cup Championship. The fourth and final round (right) of the 12th annual Women’s Tournament left just one player with a perfect record. Annie Wang 2d swept all her games to emerge as the top division winner. Other division winners were Alice Li 8k and Victoria Xie 10k. Lisa Scott and Laura Sparks directed. Updated 11/5/2018 with final division winners.